Most of the orchids we see at shows and on show tables are sympodial where one growth finishes and a new one starts from the rhizome. This presentation will focus on those with a monopodial growth habit. Those where the plant grows upward from a single point. 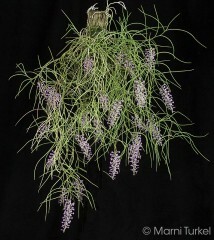 It adds leaves to the apex each year and the stem grows longer accordingly. This talk will focus on the wonderful variety of monopodial genera of great interest to orchid growers. It includes miniatures as well as some rather large species, some well known and others not often seen. It will cover aspects of culture in general and individual species. You will see images of flowers up close as well as whole plants. There should be something of interest to growers from all levels of experience. 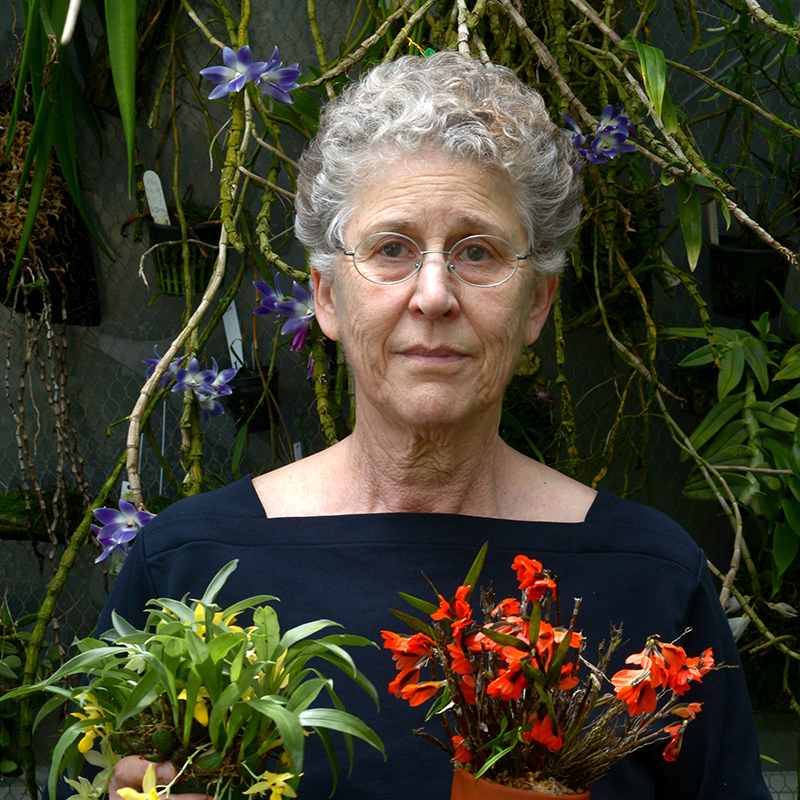 Marni Turkel (pronounced tur KELL) is a native of the San Francisco Bay Area and has been growing orchids since 1980. She grows in four greenhouses in Santa Rosa with approximately 1250 sq ft of growing space. Her main interest is in miniature species but plenty of larger plants have crept into the collection as well. Marni has been a contributor to Orchids magazine with her series called ‘Well Worth the Space’ and ‘Give It a Rest’. Her articles have been translated into Dutch, German, Portuguese and Swedish for international publication. 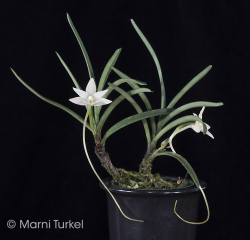 Photographs of her plants have been featured in articles of noted orchid publications including Orchids Magazine, Orchid Digest, Richardiana, The Orchid Review, and The Australian Orchid Review. For the last few years she has been sharing her photographs and knowledge on OrchidsForum.com. Starting in 2009, Marni expanded her work with orchids to include propagation of orchids from seed and has set up a flasking lab of her own to take the process from start to finish and sell flasks of many of the orchids species in her collection. After working for over 43 years as a potter, she has retired from ceramics to pursue orchids full-time.